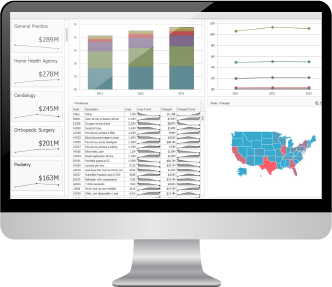 The FH NPIC (National Private Insurance Claims) database—our industry-leading collection of privately billed medical and dental procedures—is based on data contributions from payors nationwide. FAIR Health collects all data fields reported on medical and dental claims, including diagnoses, procedures, dates and places of service, NDC codes, billed charges, allowed amounts reimbursed and other information. FAIR Health licenses de-identified, claim-line-level data where appropriate for academic, policy and commercial research. One size does not fit all. Beyond our standard FH Benchmarks, the size and breadth of the FH NPIC database make it possible to view and organize our data in countless ways to meet a wide array of business needs. Customized analytics can be created to your specifications. Don’t have your own staff of data analysts? 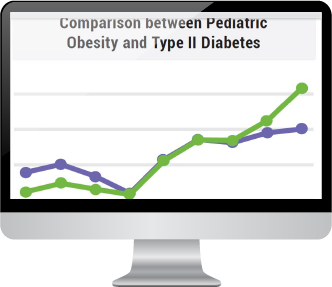 Interactive FH Dashboards analytic and visualization tools make it easy to view, analyze and drill down into your FAIR Health dataset to illuminate your findings. This one-stop solution helps you conduct your analyses simply and effectively and also serves as a presentation tool to inform decision making, strategic planning and management reports.